We are proud to represent our members and work very hard to promote the New Zealand Short Stay Accommodation Industry. We offer various membership levels for you to take advantage of, depending on the number of property listings you require. Many properties across New Zealand are already benefiting from our services. Listing with us is easy, and requires a small annual membership fee, with no commission to be paid! That's right. No commissions, ever! We just want you to enjoy the benefits of being part of KiwiShortStay, knowing in advance what your costs will be. Don't mistake low fees for lack of quality. Take a look around the site. We are a professional organisation who treats their members with respect. We invite you to check out our details and see if we too can help you in marketing your property to the world. We are proudly New Zealand's newest exclusive online directory for Short Stay style accommodation. Hundreds of unique visitors to our site each week. Your property details will be available 24 hours a day to holiday makers around the world, who can then call you or email you a booking enquiry. Each listing has its own web page and address which will not change, so you can use it for additional advertising such as newspaper ads. Partnership with Australia's favourite online Short Stay accommodation directory OzShortStay.com.au. Global sites operating in the USA (www.usabedandbreakfast.com) and United Kingdom (www.holidaylettings4you.co.uk) bring international travelers to the site. 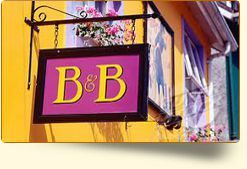 Promotion to our internal B&B traveller list of over 2,000 registered members travelling throughout Asia/Pacific. Regular publications to our 2,000 registered travellers. 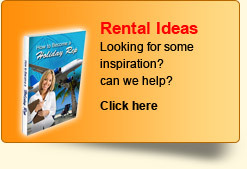 We want to promote your Short Stay accommodation and the Holiday accommodation industry!! We aggressively market this web site on the internet. We currently list our site on over 400 worldwide search engines. The importance of search engines can't be overlooked, as they are the most popular method for discovering new sites. We also promote our site on the Radio, newspaper, trade journals and by word of mouth. Honest! Our web site has hundreds of people visiting and using our site. We don't count "hits" (which is a meaningless term). We count individuals: people like you and I from all over the world using our server to find New Zealand Holiday Accommodation. We publish our numbers for anyone to review. We use our 'KiwiProfiler' tool. KiwiProfiler represents our easy-to-use, profile updater. This is our technology that allows our members to to easily update their listing anytime they want. It is available to Property owners who have internet access. The update process is completely automated and immediate, and secure. Don't spend days waiting to get updates made to your profile. Make them yourself immediately, and use our Late Deals section to advertise last minute specials and promotions. We are the best New Zealand Short Stay Accommodation web site. KiwiShortStay was started in June 2012. In the past, you could go to any internet search engine and look for Short Stay Accommodation and Bed and Breakfast's and only have 6 results come up. Today, large search engines index tens of thousands of accommodation related pages. We aim to be the most regarded as THE standard for New Zealand Short Stay listings on the web. There are many other New Zealand Short Stay web sites on the internet, but none have the power and simplicity of kiwishortstay.co.nz. We have designed this site so that anyone can use it: from the latest versions of Netscape/MS Internet Explorer/Firefox, to the oldest text browsers such as Mosaic: They all work on our web site. You will NEVER see a "This site optimized for Netscape" on our site. We won't alienate your potential next client. It's a hard fact that many people browsing this site from overseas do NOT have the latest internet technology at their disposal; some are a few years behind in technology. No problem: everything will work on this web site. We are inexpensive and designed to stay that way. We give you a complete colour listing for a low fee of $55 per year for a Standard membership. Many others charge up to $500 without having nearly the audience that we attract. We ONLY list New Zealand Properties. Our format is simple, powerful and internationally recognizable since we use graphics to represent data. We have developed a proprietary database technology which allows us to offer free information and search functionality. Our database technology generates the content of the web site dynamically, as well as generating renewal letters, reports and other statistics about this web site. It is all self contained within one program. Many of our competitors create your web page by hand, tediously, without any method of tracking the data that goes into those pages. You'd like your description changed?, no problem, we edit your record in our database and it goes online immediately, or you can edit your page with us using KiwiProfiler technology. Our database can tell us, for example, who is up for renewal in August, who has not renewed yet in July, how many people subscribed in the first quarter of 2013 allowing us to forecast our advertising budget for the next quarter, print reminder letters to overdue subscribers, generate your web page, etc. How does all of this technology affect you? All of these state of the art techniques allow us to cut overhead and keep the price low. It only requires two people to manage this web site since we have developed such a powerful database tool for tracking/adding Properties. A good demonstration of this technology is upgrading your web page: For example, we recently added more information to the web pages, "Which Credit Cards Are Accepted". We have thousands of subscribers which normally means having to edit thousands of web pages to add this information. Conventional methods would require someone going into each web page and editing them to add this information. But with our method, we simply modify our KiwiProfiler engine to show "credit cards accepted" and instantly all subscribers listings on our site now contain this information. You have a Web page somewhere else already. Great! But will anyone ever find you? When someone in Germany wants to find a Property in New Zealand, they don't want to haphazardly look through random pages scattered across the Internet. They would want to find a standard Property resource with hundreds of searchable listings shown in a commonly understood format. This is precisely what we provide. A common analogy would be this: Say you had a nice poster advertisement developed: anyone can develop the poster ad, but it's totally useless if you take that ad and stick it on a sign post in your backyard. You would want that poster to be plastered in every major travel shop available. We offer you the poster (web page) and we offer to put it on our billboard (our website). As part of our subscription, we allow you an outside link to your other web page at no extra cost. We would hate for those other web pages to go unnoticed since you paid good money to have them developed! We have the Future in mind. Our internet web site has been very successful. Our future goals include affiliations with large New Zealand internet content providers and perhaps a print book for people to carry around. We are working hard to promote your New Zealand Short Stay accommodation properties. If you wish to become a member of KiwiShortStay, please click here to read more.